The applications of 3D printing are only as broad as the materials that can be 3D printed. Fortunately, those materials are increasingly on a regular basis. One of the most exciting materials for 3D printing may be glass, which can be used for such applications as specialty optics and lenses. However, few have pulled off this feat, with optics left to the realm of transparent plastic 3D printing, such as that developed by Luxexcel. 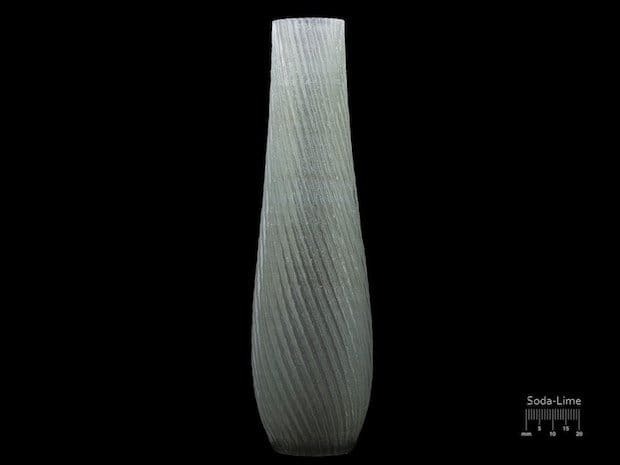 Among those few that have ventured into the world of glass 3D printing is Micron3DP, which announced its ability to 3D print molten glass over a year ago. The company has since claimed to have installed alpha glass 3D printers within its own facilities for internal operation. These machines have build volumes that are comparable to industrial fused deposition modeling (FDM) 3D printers at 200 mm x 200 mm x 300 mm and layer thicknesses as fine as 100 microns. Micron3DP’s patent-pending technology relies on an FDM-style approach, heating the material up to 1000°C. As of now, the only materials successfully printed are soda lime and borosilicate, but the company plans to expand to more materials in the near future. From the looks of the parts printed so far, the material has limited use in terms of optics, but may be useful for its chemical resistance, sterilizability and ability to withstand high temperatures. Micron3DP believes it will be useful in such fields as healthcare, architecture, the arts, security, microfluidics and scientific research. 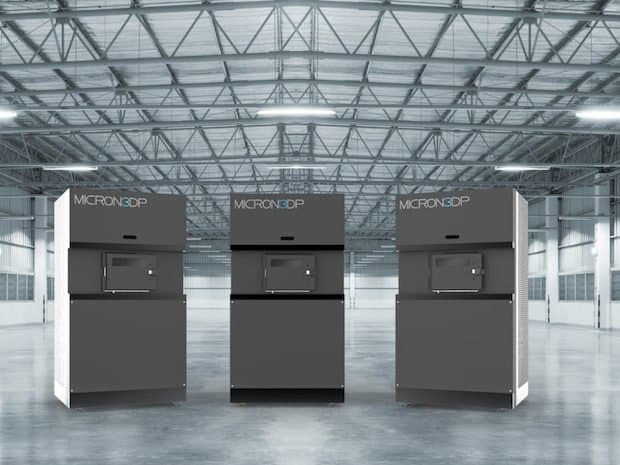 With beta units expected to ship later this year, Micron3DP may be the first company ready to launch a commercial 3D printer. But as exciting as the technology may be, competition is never far behind. Two years ago, MIT’s Mediated Matter group showcased some very impressive transparent glass prints. Whether or not that technology will be commercialized is yet to be determined. To learn more about Micron3DP, visit the company website.